Why you shouldn’t skip Auckland! Planning a trip to New Zealand and thinking you’ll catch the first bus out of Auckland? Think again! Auckland is the perfect place to base yourself for at least a few days. 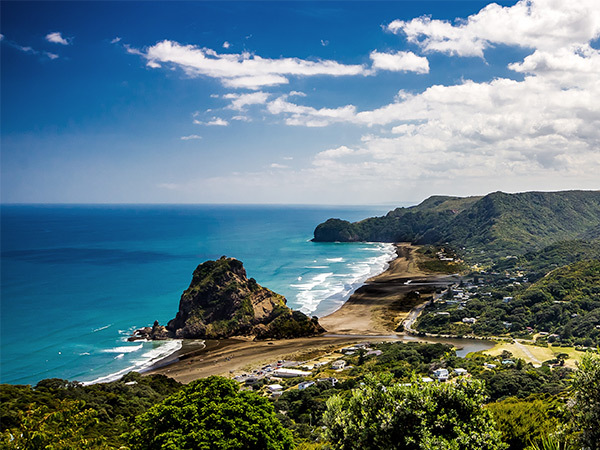 There aren’t many cities in New Zealand (in fact we reckon Auckland is the only one) where you can surf, tramp, snowboard, skydive, trek up a volcano and enjoy a thrilling night out on the town. Not only that, Auckland is the most culturally diverse city in New Zealand, and the fourth most culturally diverse in the world! With that diversity brings a wide variety of activities, attractions and flavours. 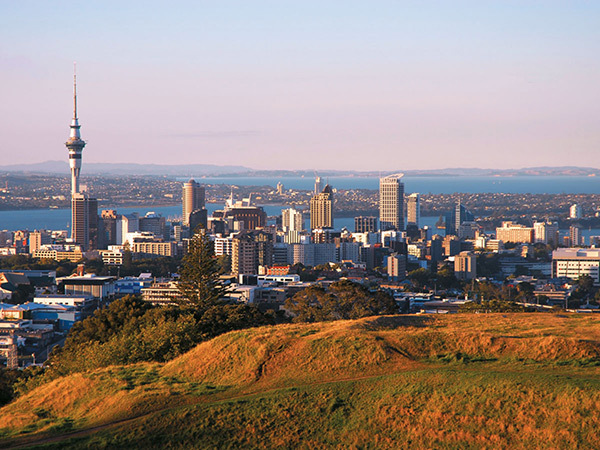 Here are some other reasons why you shouldn’t skip Auckland on your trip to New Zealand! Auckland is a unique city as it’s situated between two major bodies of water – the Tasman Sea and the Pacific Ocean. Wherever you are in Auckland, the water isn’t far! Learn to surf at rough west coast beaches or float your worries away on the calm east coast. If getting wet is not your thing why not try blo-karting, horse-riding, paddle boarding, kayaking or simply relaxing soaking up some rays! Another distinctive feature of Auckland is the number of volcanoes dotted around the city. There are 48! That’s right, 48 volcanic cones casually lying around in Auckland. Don’t worry, we’re pretty sure none of them are about to erupt any time soon. Get your activewear on and see Auckland from a height, for free. Trek up to the summit of Mount Eden, One Tree Hill (no longer with tree), or catch the ferry across to the iconic Rangitoto Island for panoramic views of Auckland. If you skip Auckland you’re also missing out on the vibrant markets, festivals and shows. From weekly night markets to annual cultural celebrations, there’s always something happening somewhere! Your hair will stand on end watching various cultural performances at Polyfest or the Diwali Festival, and taste testing your way around the Seafood Festival or Taste of Auckland is a day well spent! Alternatively, if you enjoy a good laugh head to a comedy club on a weeknight or catch a 3D movie at IMAX on New Zealand’s biggest screen. 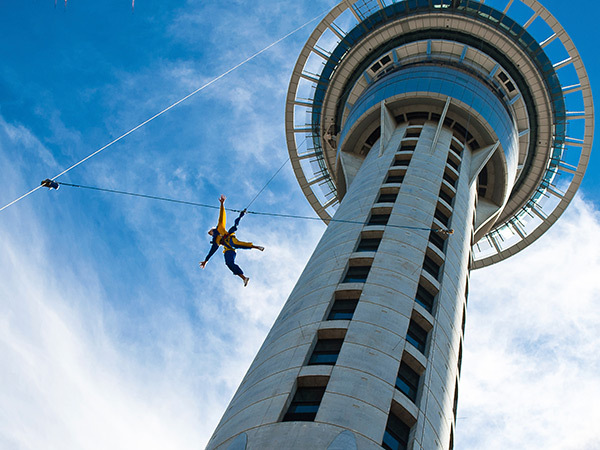 Another reason why you shouldn’t skip Auckland is the number of exhilarating activities to do. Jump off the Sky Tower, the Harbour Bridge or from an airplane. Go jet boating in the Waitemata Harbour, ziplining on Waiheke Island or snowboarding at Snow Planet. Whatever crazy antics you’re into, we’re sure Auckland’s got you covered! It’s easy to explore the northern region of NZ from Auckland in just one day. 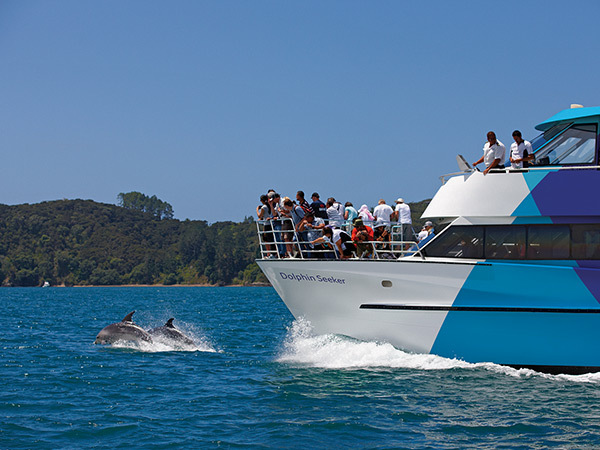 Take a day tour to the spectacular Bay of Islands and swim with dolphins, getting back in time to enjoy dinner by the waterfront! Alternatively, you could visit Goat Island Marine Reserve, Waiheke Island or the beautiful Awhitu Peninsula on a day trip from Auckland. When it comes to food, your hardest choice won’t be selecting which meal to order, it’ll be deciding where to eat! From fine dining outfits to funky dumpling bars, upmarket bistros to cheap ‘n’ cheerful eateries – Auckland caters to all tastes and budgets. Don’t forget to try our specialty – fish & chips on the beach! It’s hard to believe that a city with more than one million residents has a rainforest in its backyard. 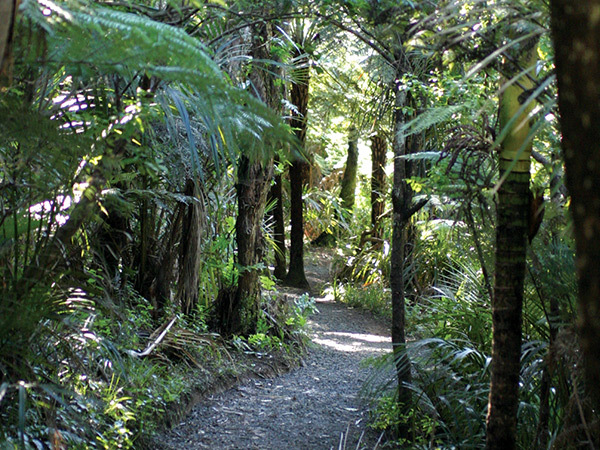 The Waitakere Ranges, located 30 minutes west of central Auckland, are a breath of fresh air. Admire gushing waterfalls, incredible rocky outcrops, and breathtaking lookout points showcasing sea, forest and city views. Take your mountain bike for a ride along Beveridge Track and you’ll be treated to stunning views of dams out to the west coast and the harbour to the east. These are just some of the awesome things Auckland has to offer. Once you’re here amongst the Auckland vibe we’re sure you’ll want to stay and play for as longer.